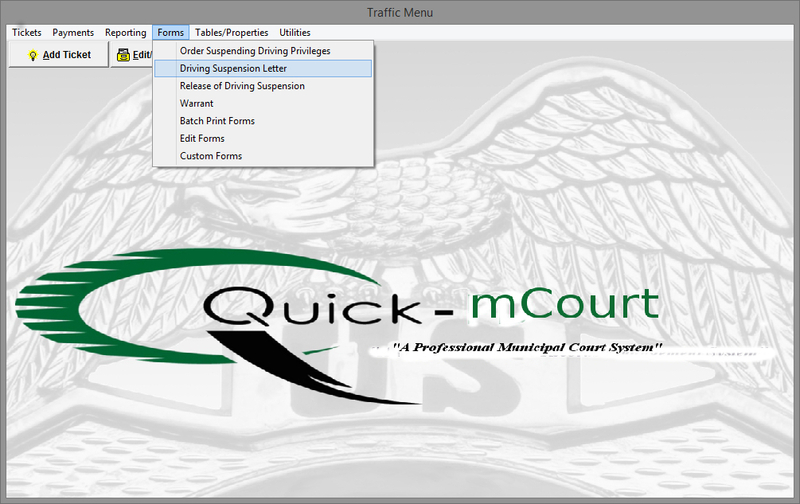 The Forms menu in Quick-mCourt will give the Courts the ability to automate and take complete control over any Forms that the Court needs to generate. 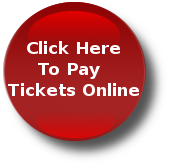 The system uses Microsoft Word and insertion commands to automatically generate your forms. "Order Suspended Driving Privileges"-will print out the Drivers Revocation and set that date on the ticket. "Drivers Suspension Letter" is a letter to Violator telling them that your intentions are to suspend their driving privileges if they do not pay. "Warrant" will generate a warrant for this Violator and set the warrant issued date on the ticket. "Batch Print Forms" is the feature that will allow the clerks to generate the above forms in batches. It allows the clerk to load the docket back up and select the violators that they wish to get one of the above forms. "Edit Forms" will allow the operator set up the master templates with the insertion commands. "Custom Forms" will allow the Court to set up templates with insertion commands to be able to auto create any reoccurring Form they may use.